Open rivers: Improving connectivity and habitats in rivers shared by Navarre and Gipuzkoa. LIFE IREKIBAI (LIFE 14 NAT/ES/00186).With the contribution of the LIFE financial instrument of the European Union. 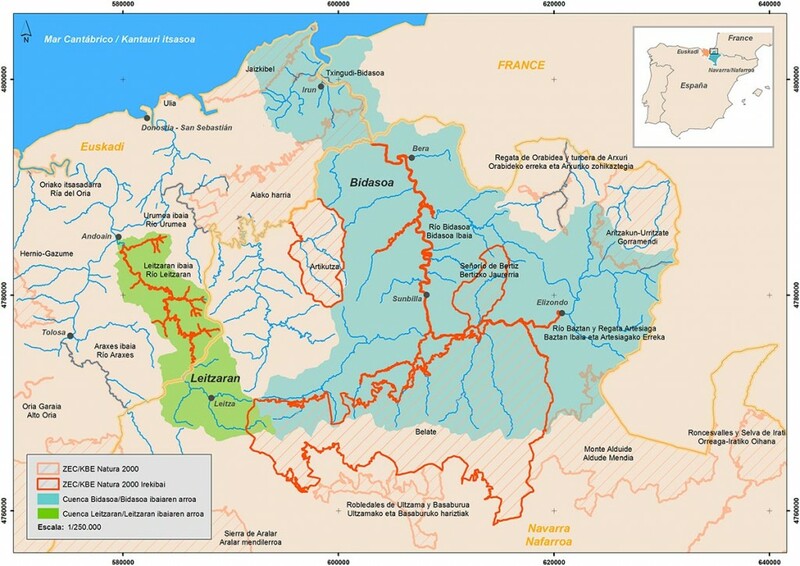 The chief problem faced by the rivers on the Cantabrian coast between Navarre and Gipuzkoa is fragmentation. For a range of historical and geographical reasons, a great many obstacles have been allowed to build up along the Rivers Leitzaran and Bidasoa, breaking their continuity and affecting the ecosystems they produce and the species that live in them. The IREKIBAI project has been developed in order to reverse this situation. Its name is a play on words which encapsulates the ultimate objective of this European project: IREKI and IBAI, OPEN and RIVERS. 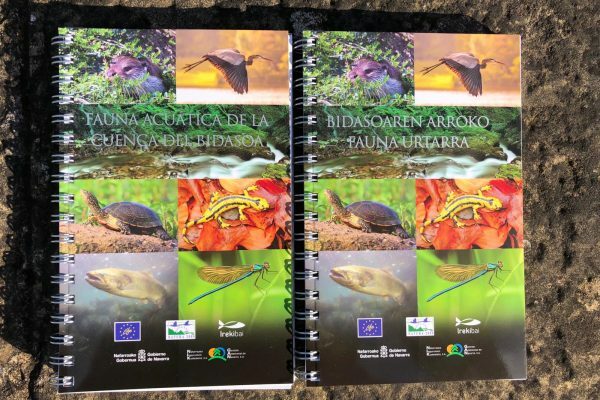 Actions designed to address different obstacles which hinder the natural flow of the river courses (opening the river, if you will) aim to improve the conservation status of the river habitats and species of Community interest within the Natura 2000 sites located along the basins of the Rivers Bidasoa and Leitzaran. 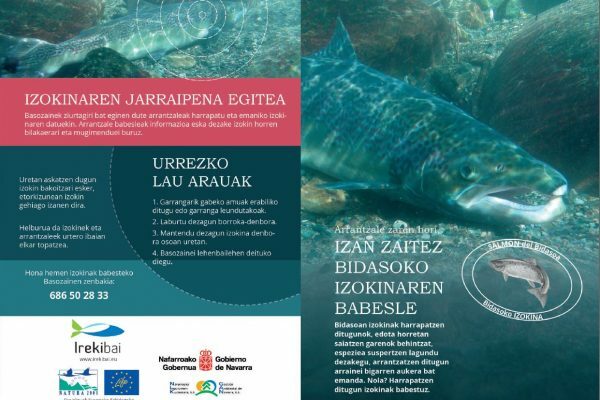 In order to bring an end to the fragmentation suffered by the rivers on the Cantabrian coast, the IREKIBAI project proposes a set of actions, 26 in all, the most noteworthy of which involve the removal or reduction of obstacles which prevent the rivers from functioning naturally. - Geomorphological changes to the riverbed. - Evolution of the river habitats. The aim is to facilitate, exchange and disseminate information which can help raise public awareness. A range of initiatives are planned in order to do this, such as the production of informative materials in different formats.